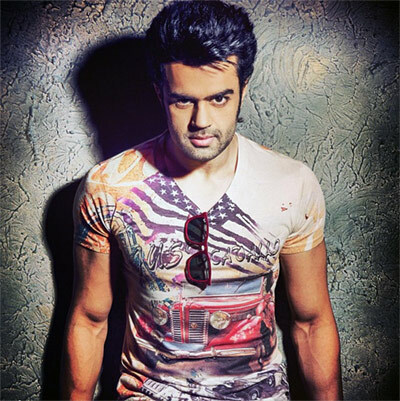 Manish Paul gets ready for his third film. Like Sikandar Kher, Manish Paul heard the script of Tere Bin Laden: Dead Or Alive in a one-liner only, and he agreed to do it immediately. The Mickey Virus actor has enjoyed a lot of success on television but the big screen thumbs-up still eludes him. The trailer of Tere Bin Laden: Dead Or Alive is a hit, and promises to be as hilarious as the first film. Manish Paul tells Jahnavi Patel/Rediff.com what to expect. The first film is a hit. Do you feel any pressure to deliver in its sequel? No. I'm just doing my work. But yes, there is definitely some kind of pressure since I'm the male lead and am taking the franchise ahead. I enjoyed the film's shooting, and am happy that I am the hero. At the end of the day what matters is a well-made film with a good script and performances. How was your experience working with director Abhishek Sharma? He is a great director. He has extracted good performances from actors. He taught us minor details about comedy. He has an impeccable comic timing, which is important for the film. I travelled a lot for this film and that was quite challenging. 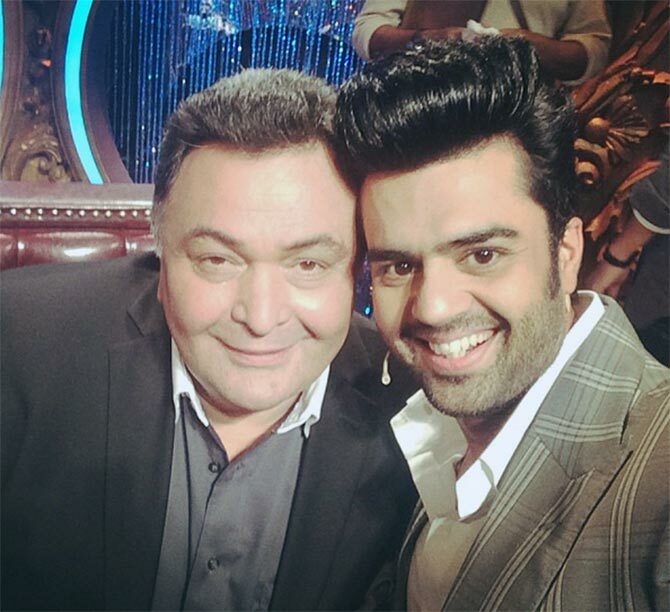 I was shooting for Jhalak Dikhhla Jaa then, so I would wrap up my film shoot at night, drive to the Jhalak sets and sleep there, and shoot for the show in the morning. Apart from that, there was nothing challenging as we had already rehearsed for our scenes. We realised the importance of rehearsing as it led to us giving good performances. Did you take any special training for your role? I do a lot of comedy on television, so I had to make sure it doesn't get repetitive. I was initially scared even during Mickey Virus. But yes, our director Abhishek gave us minute details. I am a director in the film and he even made me direct a short film. He gave me a handy cam and asked me to shoot whatever I liked. I did that, and Abhishek told me that I had at least learnt to handle the camera. Will we see you direct a film in real life? You never know. I would love to direct. I used to sit with my director even when I had no scenes to observe things on the monitor. What do you enjoy most: hosting shows or acting? Both. In fact, a lot of people watch my films because they love me on television. You need not be loud in films but on stage, you have to be loud. I keep these things in my mind. I'm a very different person on stage and on the big screen. Tere Bin Laden: Dead Or Alive is your third film after Mickey Virus and Ranbanka. What made you take it up? I want to sign good films from whatever I am offered. Honestly, I don't get any mind-blowing scripts. This was a very good script. I instantly said yesr when I heard a one-liner from the film. At that time, the entire script wasn't even ready but I loved the idea. Also, obviously, because it's a hit franchise. I have a comfort level with Abhishek. Both of us hail from Delhi and have studied in the same college. I didn't know he was my senior. All that worked in our favour. There's another script, where my character is grey, but it did not work out We had even started preparing for the film. I wasted six-seven months in that film. Have you got any feedback from the industry after watching the trailer? Yes, we got a very good response. I was very touched because everybody tweeted about it, including Madhuri Dixit and Rishi Kapoor. In fact, I met him that same night, where I was hosting the Umang Mumbai Police show. He told me that if I made fun of him, he would remove the tweet. Every actor, who came on stage, said that they saw my film's promos and enjoyed it. Shah Rukh Khan praised it. He makes a lot of fun of me and Mickey Virus. He was like, now even you're becoming a big hero, I will tell everyone to watch your film. So yeah, I felt good about that. Every actor has had ups and downs in his life. What have you learnt from your failures? I have learnt that one must do his job well and should not think about failures. I talk about the good things and leave the failures behind. I move on fast. You are known for your infectious energy. Where do you get that energy from? Yes, I have a high level of energy. I sleep on time, workout regularly and pay special attention to my diet. I think it's how you look at life. I don't get depressed and enjoy life to the fullest. I am doing a film called Katha, which will be directed by Khalid Mohammed. I'm also doing Baba Black Sheep.